25 millionth Vaccination Ceremony in Ghana. Attended by Surgeon General. 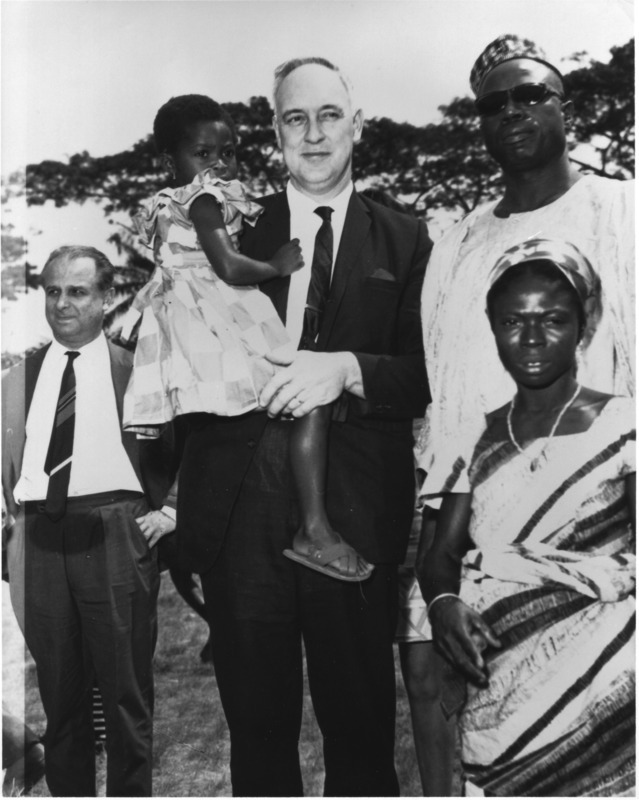 Dr Stewart who is holding Rebecca Ansah Asamoah the recipient of the 25 millionth vaccination. , (Author), “25 MILLIONTH VACCINATION,” The Global Health Chronicles, accessed April 20, 2019, https://globalhealthchronicles.org/items/show/3376.